This exclusive freebie is an interior living room mockup in the loft with posters standing on a console table. This free mockup with interiors in different color of the walls and the location features smart object where you can place your own design. 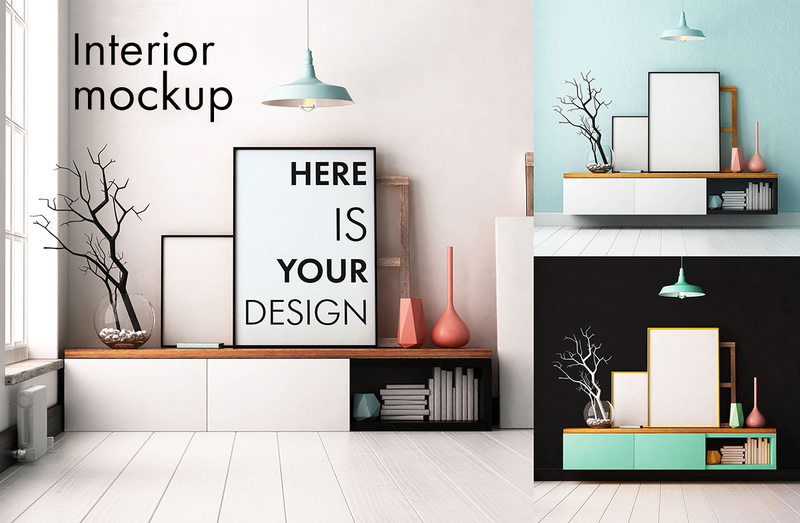 You can buy full set of Interior Mockups Bundle on Creative market.